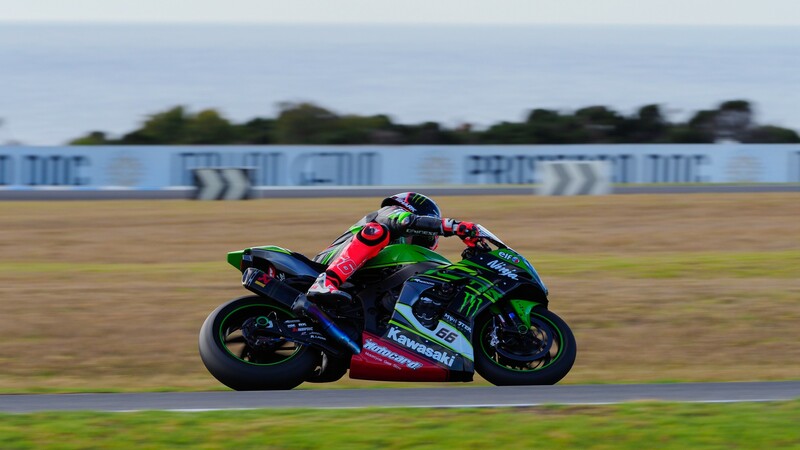 Tom Sykes (Kawasaki Racing Team) has taken the first pole position of the year at Phillip Island, lighting up the Australian venue with red sectors to take his 43rd pole position and equal Aussie legend Troy Corser. 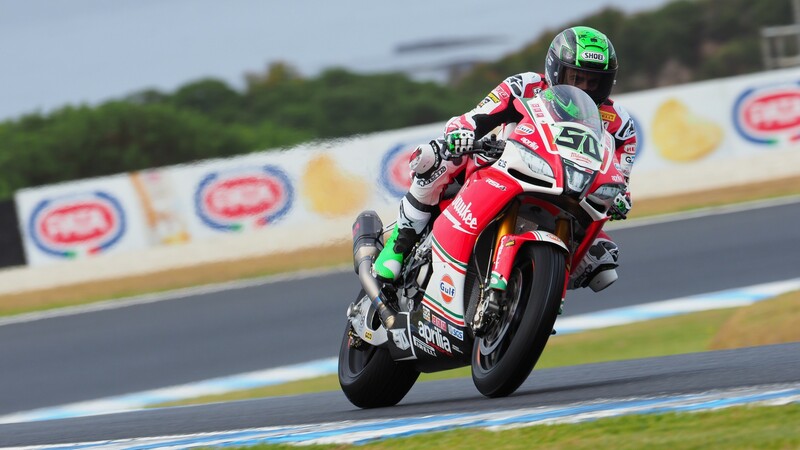 The Yorkshireman is joined on the front row by Eugene Laverty (Milwaukee Aprilia) – who was third fastest on Friday – and Marco Melandri (Aruba.it Racing – Ducati). With wind causing some difficulties for the field, there was an early Red Flag when Friday’s fastest Lorenzo Savadori (Milwaukee Aprilia) took a tumble, heading off to the Medical Center before the session restarted. 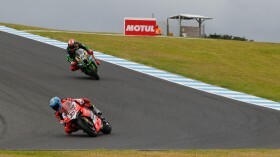 Then the man who had been just behind the Italian on the timesheets on Friday, Leon Camier (Red Bull Honda World Superbike Team), also crashed out – rider ok but unable to complete a lap – before Alex Lowes (Pata Yamaha Official WorldSBK Team) and Superpole 1 graduate Jordi Torres (MV Agusta Reparto Corse) followed suit and slid out. 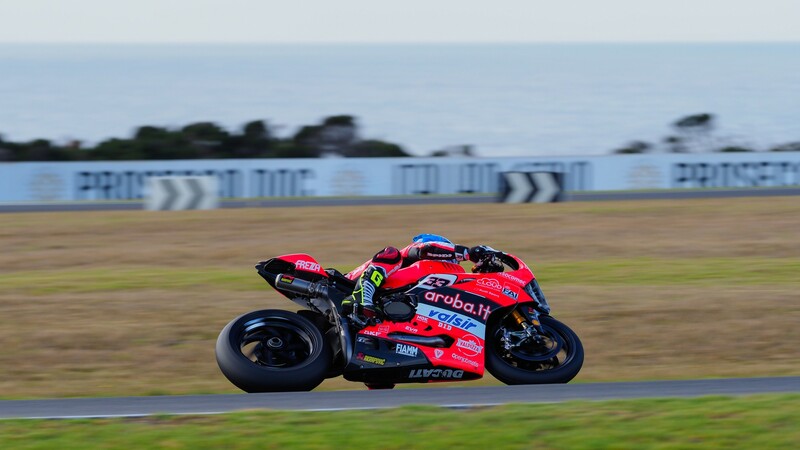 Behind the top trio it was Lowes, however, who was able to bounce back to line up fourth, with expected Championship contender Chaz Davies (Aruba.it Racing – Ducati) in P5 and moving up significantly in Superpole compared to a more difficult Friday on the timesheets. 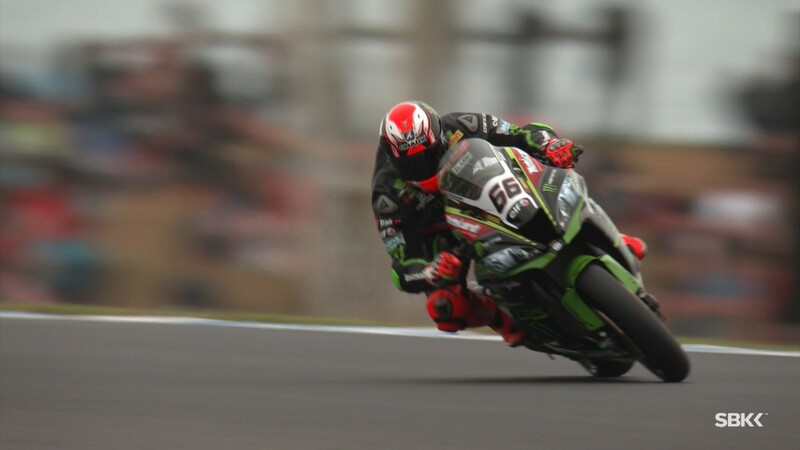 Next up, it’s the reigning World Champion: Jonathan Rea (Kawasaki Racing Team), who was fifth fastest on Friday, will be starting the first race of his title defence from sixth – unable to improve on his first effort and almost a second off teammate Sykes. 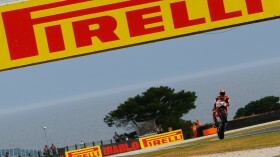 With Rea’s incredible form coming through the field in Race 2 with that grid format, can he do the same in Race 1? 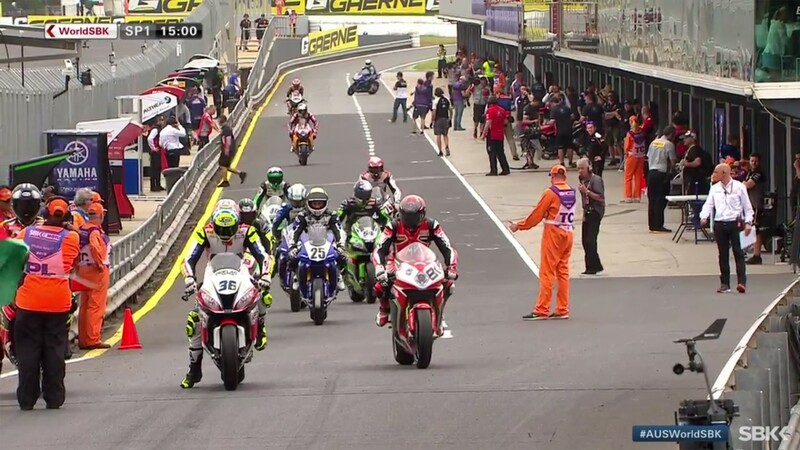 Xavi Fores (Barni Racing Team) heads up Row 3, just ahead of Michael van der Mark (Pata Yamaha Official WorldSBK Team) as the Dutchman starts seventh. 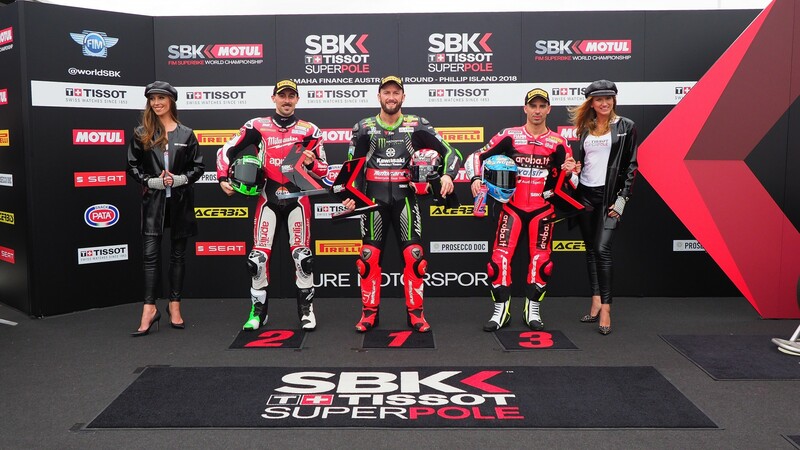 Toprak Razgatlioglu (Kawasaki Puccetti Racing) completes that third row, with the Turkish rookie impressive and having moved through Tissot-Superpole 1 in his first weekend of the year. Race 1 now puts the first 25 points of the season in play, with Sykes hoping to lead the charge from 15:00 local time – that’s GMT +11.